Potholes don't typically start showing up in large numbers around here until February or March, but they are blooming early in parts of the area. WASHINGTON — Don’t you hate that sinking feeling when you drive over a pothole, wondering if your tire will survive the crunch? Potholes don’t typically start showing up in large numbers around here until February or March, but they are blooming early in parts of the area. “We’ve received 776 service requests so far this January, and that’s about twice as many service requests for potholes as we received this same time last year,” said Terry Owens of the District Department of Transportation. Charlie Gischlar with the Maryland State Highway Administration said recent record rains have played a role in pothole formation. 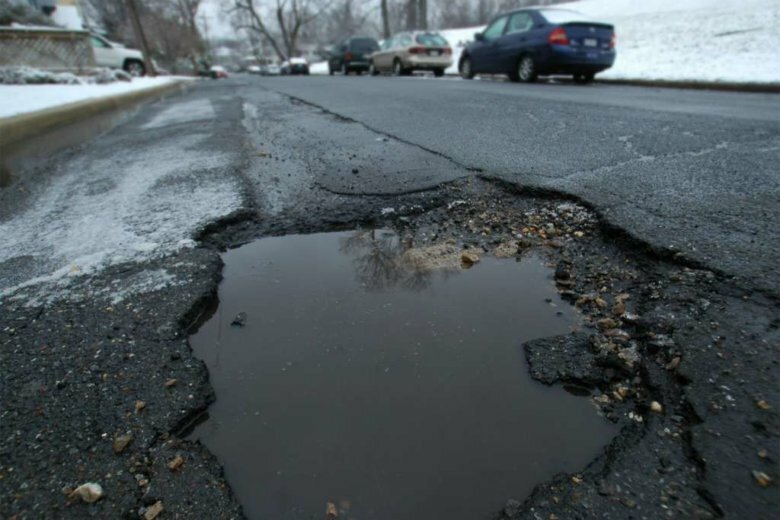 “Because of all this moisture and the fluctuation of the cold along with the warm, we have been seeing a lot of potholes popping up throughout the area,” he said. Depending on the workload, the Maryland SHA tries to get potholes repaired within one business day, and Gischlar said repair crews have been busy in both Montgomery and Prince George’s counties. But repair crews are working: “We were potholing in some areas of Loudoun County on Sunday,” she said. In D.C., call 311 or fill out an online request on the District’s 311 page or its special potholes page. You can also report it through the DC311 app or tweet at @DDOTDC using the hashtag #potholepalooza. The District even has an online map that shows you completed and pending repair requests. In Maryland, fill out an online State Highway Administration form if you spot one on a state road or interstate.